Ever since the latest of the Royal Weddings took place, the wedding dress game has taken a whole new turn. Meghan Markle and her designer Clare Waight Keller of the fashion powerhouse Givenchy created a dress so ethereal, yet without all of the unnecessary details. The focus was on emphasising the Royal bride’s figure with a fitted dress, with a naturally long train – for a little drama. Then, of course, there was the second wedding dress, a lighter one that provided plenty more movement as we assume the new Royal bride danced the night away. The light sleeveless gown by Stella McCartney was a perfect choice. This is another trend brides have begun adopting – having one, more formal gown for the ceremony and a frillier one for the reception, and if you think about it, it makes complete sense. At the reception, you want to look spectacular but feel good in your skin, dance and enjoy your big day. When it comes to bridal trends of 2019, there are a plethora of choices that are bound to satisfy and cater to the needs of every type of bride, so if you’re running short on inspo, let us give you a little helping hand. Who says a bride has to walk down the aisle in a dress? New seasons bring new trends and now we have a variety of options to choose from. If you’re not a full glamazon bride and prefer something elegant, but still in a certain way casual, comfortable and trendy, a lace crop top with a fitted or ball gown skirt will represent the ultimate solution for you. These types of wedding ensembles are gaining popularity at the speed of light as they are as stylish as they are comfortable, so a modern low-key bride gets everything she’s ever wanted. Plus, if you use this as the first dress, it erases the need for a second altogether as the first one is perfect for the reception as well. If you love your traditional wedding gowns with a sleeveless sweetheart neckline, gem-encrusted corset top and a full ball gown skirt, worry not, this is one of the trends that will never fade away. Still, you have to admit that a corset dress and a heavy skirt don’t make it very easy on you to move and navigate. You can wow people with your spectacular traditional gown for the ceremony, and then pull a Meghan Markle for the reception. The incredible Oleg Cassini wedding dresses are super light and breezy, look phenomenal, plus provide a great deal of movement. You can snag a light and affordable dress with the same high-neck halter neckline and silhouette as Markle’s second dress and then go off and have the night of your life, feeling stylish, trendy and most importantly, completely free and flowy. One of the latest trends that we are so here for is the wedding jumpsuit. Whether it is flowy or fitted, made of lace, satin or any other chic fabric, it exudes an almost insurmountable amount of both uniqueness and sexiness – especially the fitted ones. 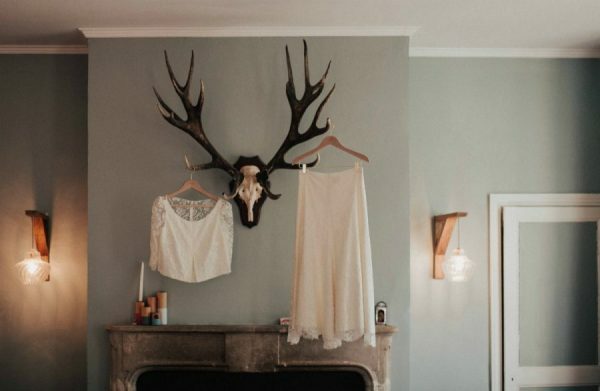 A truly modern and unconventional bride is bound to find at least one that she’ll go crazy for as there are so many varieties and little details that make this type of wedding attire so alluring. It can feature a large bow, be full-sleeved, a little see-through or completely conservative. If you wish to add a touch of drama, you can even include a kind of a skirt-cape that will go from your waist, and if you choose to remove it for the reception to grant yourself more freedom, all the better. 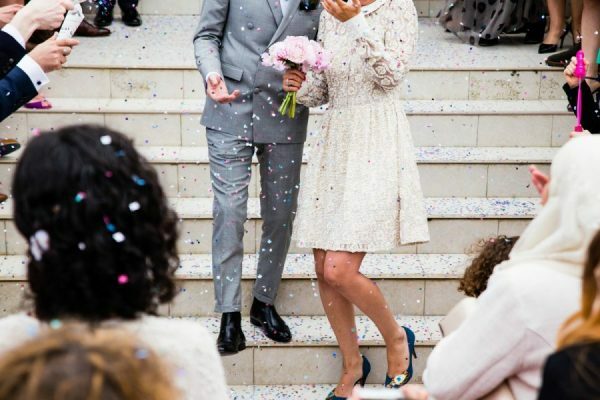 If you have a church wedding, it’s best to go with something more traditional – something along the lines of what Markle wore – long sleeves, a boat neckline and no sheer elements. This is your perfect opportunity to channel your inner royal. Naturally, you don’t have to have a train as long as her, but the cut can serve as a huge inspiration. However, just like was the case for Markle, a dress like this is simply overly heavy and difficult to move in. Given that at the reception, there is no minister to judge you, you have the freedom to go as short and as sheer as you want. 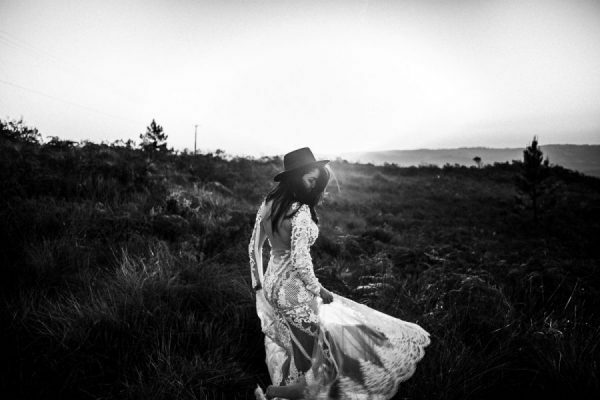 Inbal Dror created the ultimate after-party dress for all the brides who just want to let their hair down and dance like nobody’s watching. 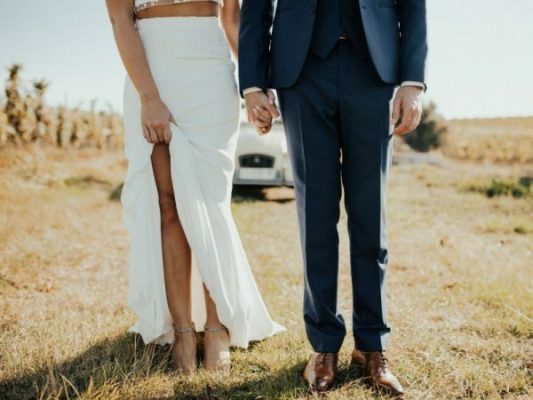 His sheer mini dress is becoming increasingly popular among modern brides who like to ruffle a few feathers and just be themselves, so if you like your dresses short, the reception or after-party is your chance to be your true self. Yet another new trend that has been here for a while now, but has gone through a lull before coming back in all its grandeur is the mighty wedding suit. There are simply brides out there who don’t feel like themselves in dresses. They never wear them in regular life, and they don’t want to change for anyone and be crowd-pleasers by putting on a gown. Whether white or off-white, double or single-breasted, caped or featuring a regular blazer, wedding suits are all the rage. All you need underneath is a breezy elegant blouse if during the reception you run a little hot in the blazer. Even the choice of pants is enormous. You can go for the fitted, and show off an extravagant pair of shoes or take an ultra-wide leg route that will make you feel like you’re floating on air rather than walking. Femininity has nothing to with dresses, it comes from within. The most important thing is that you follow the trends that are synchronized with your own sense of style, and your happiness with your choice will make you shine from inside out.